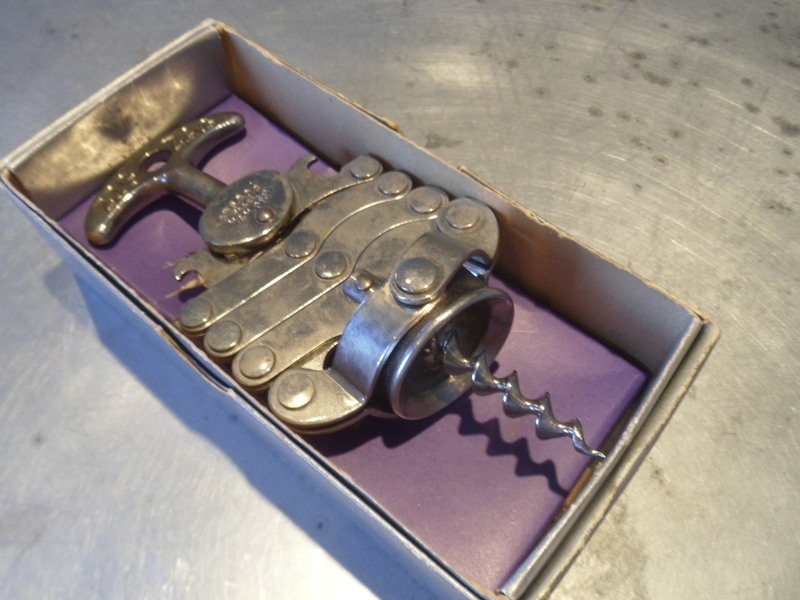 I have to admit, I have always liked the Clough corkscrew. 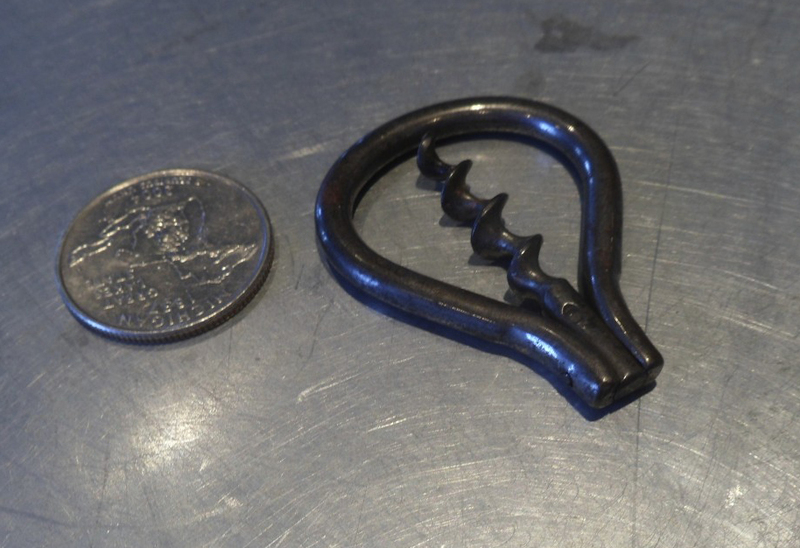 One of the first corkscrews I ever purchased was a double helix Clough–which I found traipsing around Maine, long before we owned a home here. And, while there have been many other Cloughs found since–some rarer than others–I am simply amazed at how many there are, how many variations there are, and how after having found hundreds and hundreds of them, that suddenly one might appear that is a different configuration. The price was pretty low, and remained that way for about a week. I hadn’t really looked at the pictures yet, but wondered if the tool on the right had a small clough screwed into the handle. Of course, had I bothered to examine the other photos, I would have seen that the seller had a photo that showed exactly that. Interestingly, I had simply saved it to my watch list, and only went back to check the listing–and all the pictures yesterday a few hours before it was ending. Now, it is entirely possible that someone simply decided that a little Clough belonged in the handle, but my bet is that it was designed that way. The advertising looks to be mostly worn off of the handle, but perhaps there will be further information available once it arrives. Still, it definitely is an interesting Clough for the collection. 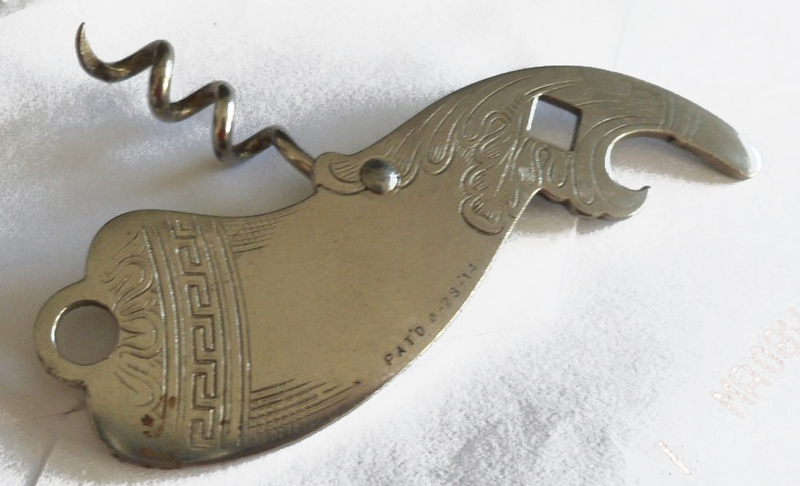 Once it arrives, I will see if there are any other markings, and examine the corkscrew more closely. 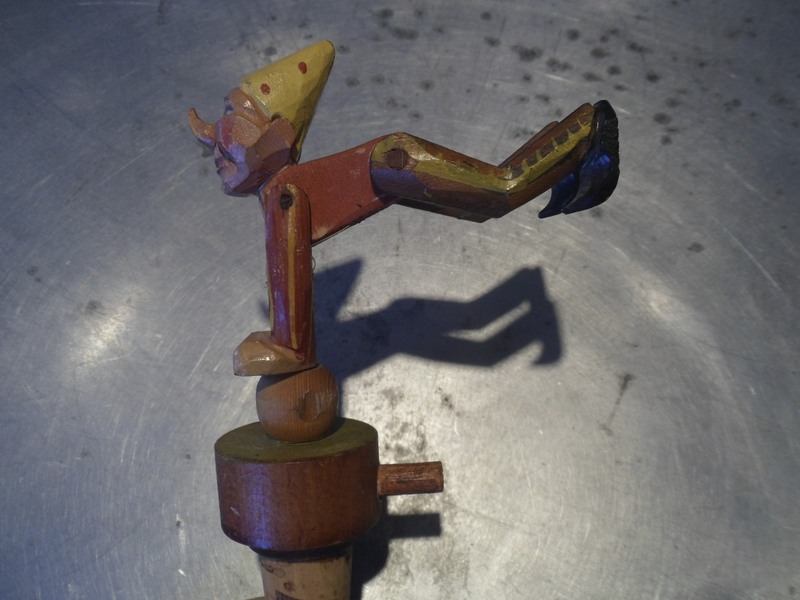 Do any of you have a similar Clough corkscrew? On another note, the lovely bride and I are heading off island this morning to go visit a litter of Briard puppies, one of which–in a few weeks–will soon come to live with us on Vinalhaven. Pictures of the puppies later. 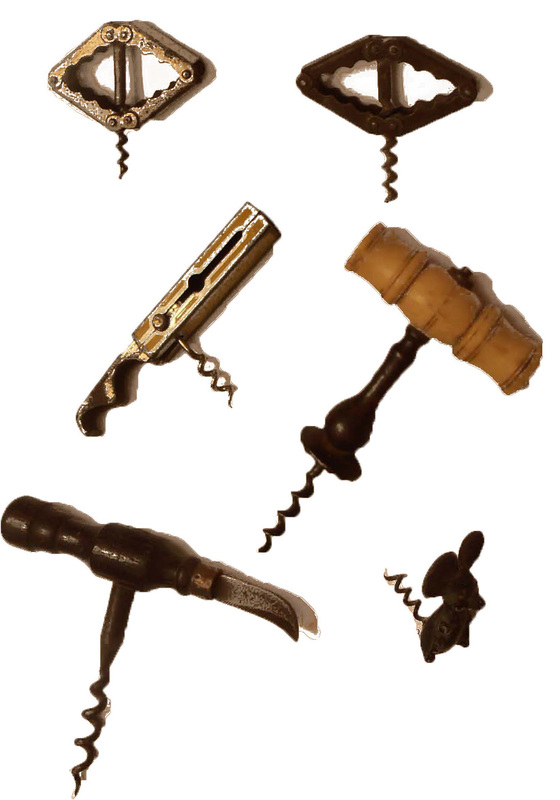 The other day I received an email with an offer to buy a collection of 100 corkscrews, and if I was indeed interested, they would cut me a deal if I took all of them. 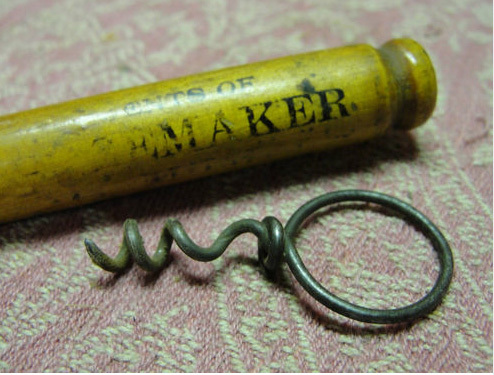 Apparently the same email was sent to the various corkscrewteers that reside in the United States. And, so I sent emails to TC, MW, and RL to gauge their interest. We all agreed that upon receipt of images of the collection, we would split it four ways instead of bidding against each other. In short order, I was on the phone with the seller, and he promised to send photos over the course of the next couple days. The first images came in, and I was hoping for something rare or unusual. And, after the next few images, I continued that hope. And, continued with the next images. And, opened the next images with a little less hope, but some optimism. I promptly resized the 28 pictures, and sent them off to the others. The response was similar from each, no interest, not interested, and I will let you guys share the wealth. So, that left me. Do I really need 100 more corkscrews, many of which are common? 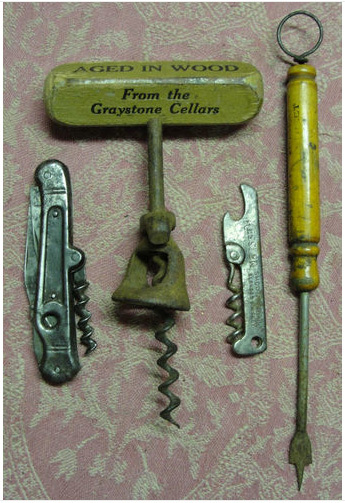 I mean, there are a couple of decent items in amongst the grapevine handled corkscrews. I sent an email back to the seller explaining the others response. And, he followed up with a different option. And, so the entire collection is being sent to me, for me to sell off, and in return I will get to keep the ones that I want. Here are a few that are of interest. So, I will help the seller dispose of his collection, as he wants to downsize, and perhaps I may even sell a couple of the better ones to RL, MW, and TC! Curley Variant and 69 days! The lovely bride headed off island on Friday to visit with some friends who have a fantastic house in Port Clyde. And, given they both enjoy antiquing, they met us as the boat, and we started heading North and hit antique stores along the way. I am pretty sure I bought that one. The codger remains at her store, so if anyone is up in Ellsworth, Maine it is in that new antique mall on a shelf directly across from the cash register. After a fabulous lunch at Cleonice, and then espressos at Rooster Bros., we began the drive back down towards Port Clyde–with a brief stop at the Trash or Treasure Barn. This time there was much trash, and little treasure, but I did pick up a Williamson Roundlet for cheap. Dinner of fresh Halibut (from our neighbor on Vinalhaven) and some lovely wines rounded out the day. Of course, over the course of the day, when time and circumstance allowed for it, I was checking the eBay app on the iPhone to see how the Curley corkscrew variant was doing. 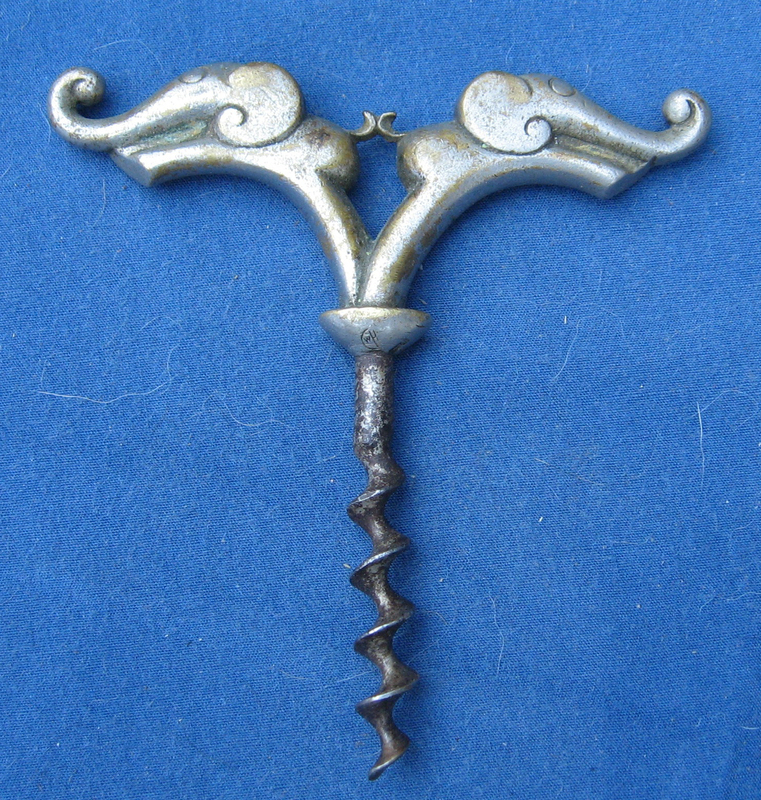 I had noticed this corkscrew when it was first listed, and thought the mechanism looked quite unusual. I searched the various books that I have, screwbase, and then the patent drawings on Google Patents, and couldn’t find another example. I was considering a snipe bid, and went back to look at the pictures. This might be a prototype, but I also questioned the way the handle fit into the notches in the frame. There are two notches, but only one tooth to fit into said notch. Without having the corkscrew in my hand to examine it, I was unsure if there should have been two teeth that would fit into the two notches. Still, even if it was broken, surely it is worth a fair amount. After looking closely at the pictures, I opted not to bid. But, I was definitely interested to see where it would end up. With an hour or so to go, it was in the 400 dollar range. By the end of the auction the price was a bit higher, with the winning bid being 2087.00. Whilst considering the snipe, I was thinking closer to the price of the embossed handled Curley with wrong patent date. That said, it seems regardless of what I would have bid, it was going to end up heading to Romania. Yesterday we headed back to the island, but not before heading over to Sweetgrass Winery in Union. While they are making some interesting fruit wines, the make a fabulous gin. If you can find some, and drink martinis, you should definitely try it. On the Tommy-Blog-Watch, it is has been 69 days since it has been updated. hunting for Anton Trunk and 67 days…. 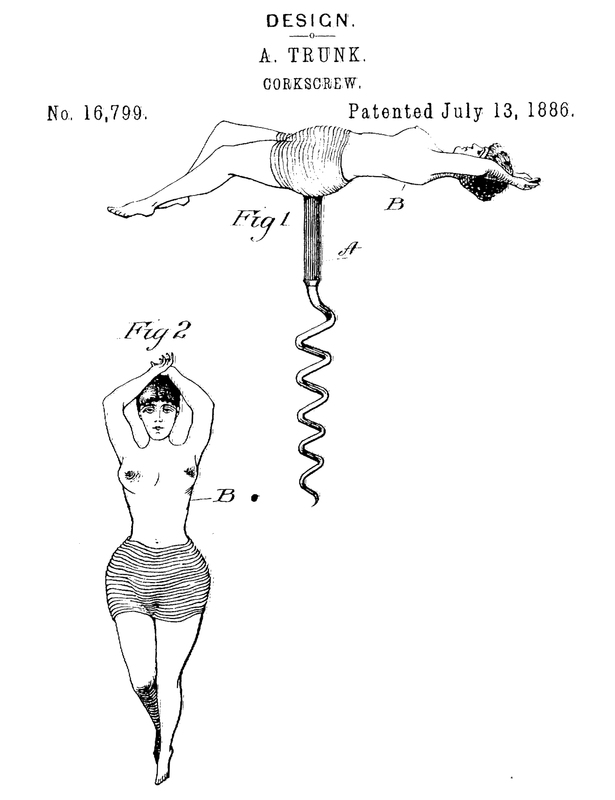 One of the corkscrew that I am most desirous of finding is the Anton Trunk patent. 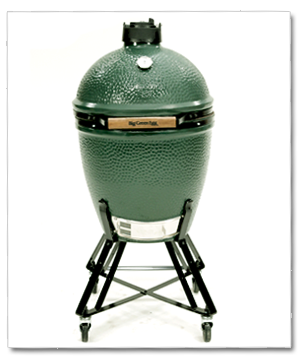 There was one available at the CCCC AGM in Boston a couple of years ago, but the price was just out of reach. And, I keep thinking that one of these days one will turn up at Brimfield–hopefully I can find it before BT does. As it happens recently I found a link between Anton Trunk and our friend James D. Frary. And, given my Frary obsession, why not add the Trunk to the mix. That said, either one would be a nice addition to the collection, and if any of you out there have one with which you would like to part, I will gladly trade for it (or buy it). Drop me a line if you have one! 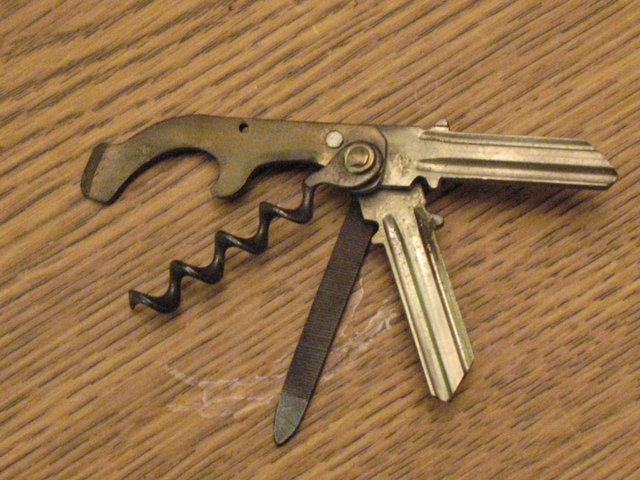 However, given that we had to get down to Portland, and back up to the boat by a certain time, I merely breezed past in the Mini, wondering what rare corkscrews might be stashed in someone’s garage. 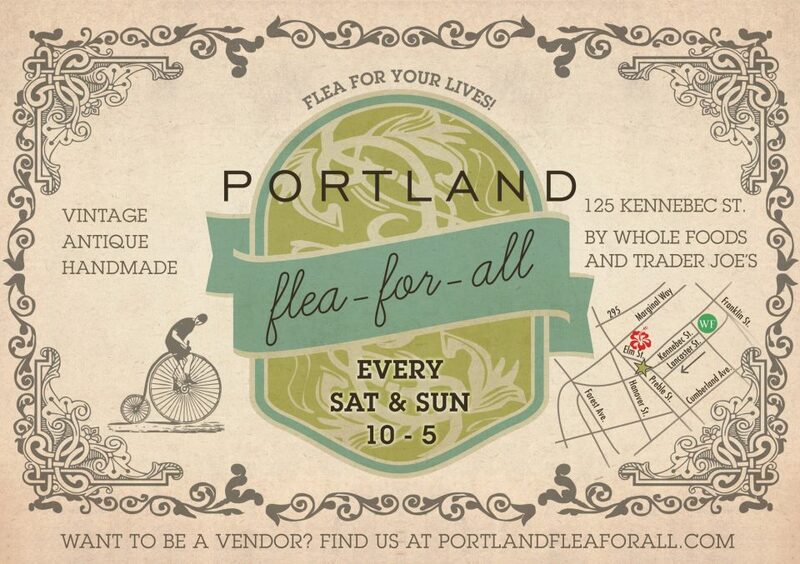 And, we breezed past a couple of flea markets as well, made it down to Portland to Trader Joe’s and the Flea for All (where there were no corkscrews), and were shortly heading back up the coast. Given we were making good time, on the way back up, we stopped at Montsweag Flea Market. Montsweag is a terrific little spot that opens on Wednesdays, Saturdays, and Sundays, and in the past I have picked up some decent corkscrews there. And, with a total of 10 minutes to scour the field for corkscrews, I set about the hunt. 9.5 minutes later, I was done. Right on schedule! In the field were 4 corkscrews, none of which I had to have, so we were back in the Mini and heading back to the boat. So, while we had a great time, no corkscrews of note were to be found. Maybe next time! On another note…while my birthday isn’t until tomorrow, yesterday the lovely surprised me with a fantastic gift–something I have wanted for some time. Let the smoking of lobster begin!!!! If any corkscrews are acquired during the trip, I will report back here. 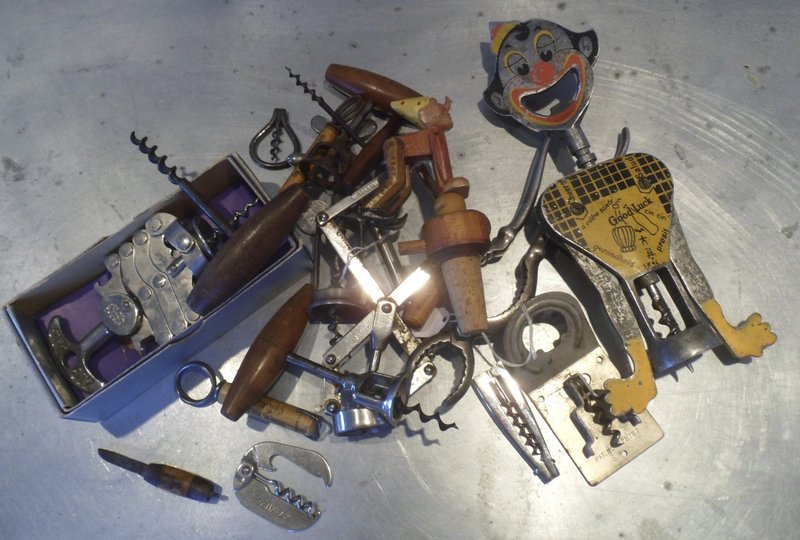 While Tommy, as of yesterday, managed to procure a McLean patent corkscrew (one that I am very much desirous of btw) I have been adding a few small bits here and there over the last couple of days. That said, if any of you have ANY version of the McLean, I would be interested in trading for it. As far as additions to my own collection, there have been some recent arrivals and deals. The Sommer patent arrived the other day, and it is simply fantastic. 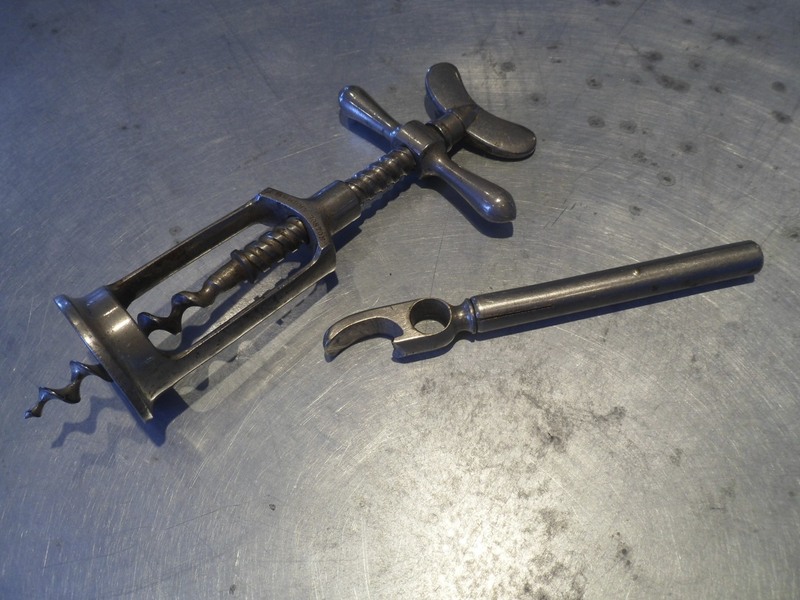 The Cook’s beer opener that was in the Sommer auction lot, has now been shipped off with another opener to TWJ for a Rydquist Patent. 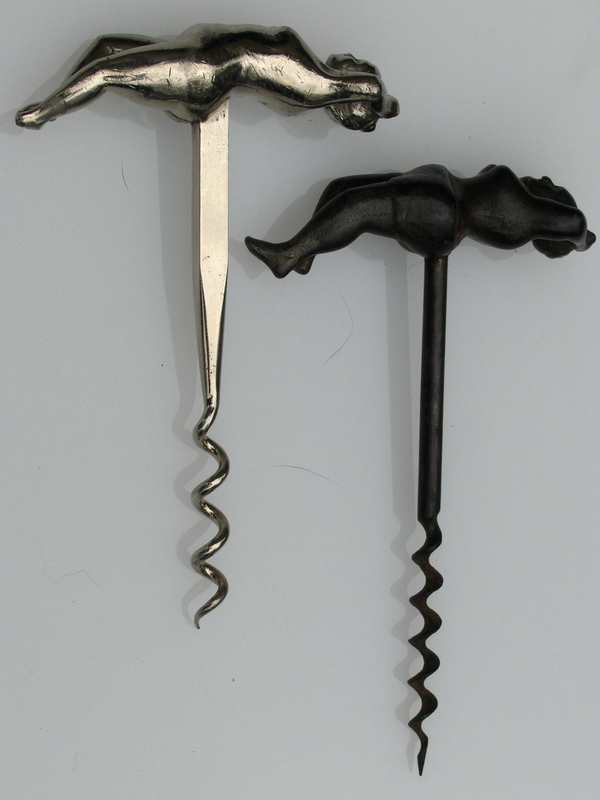 And, someone in their infinite wisdom, decided that a Large Syroco White German Shepherd corkscrew–with two other openers should be offered with a buy it now of 19 bucks. At that price, I couldn’t resist even though there is a small chip to the pooch’s ear. On the Hagenauer front, there is a potential deal for a nice direct pull with elephant handle. Hopefully this deal gets done. Of course, you never know what a given day will bring. Could a trade finally happen between RL and I? Will some random emailer offer a collection? Stay tuned! 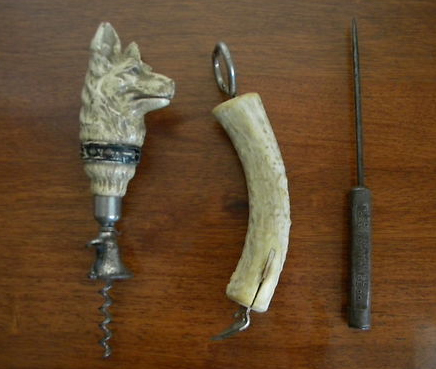 So, after going through the corkscrew case, I realized I had several that I could add to the site that hadn’t been pictured before; Stag Handled Murphy Button, Wooden Handle Murphy Button, Murphy Victor with Wire Worm, Murphy with PAT. APL’D FOR mark, and Murphy with Williamson Bell. As it happened, when I looked closely at the Murphy with the PAT. APL’D FOR mark, while cleaning it up a bit, I noticed that under the bell, it carries the HARVED. MASS marking with the 1901 patent date. I went and looked at the two others I have with that marking under the bell, and noticed that the wooden handle one also has a PAT. APL’D FOR mark on the shaft, yet the stag handled one doesn’t have that marking. 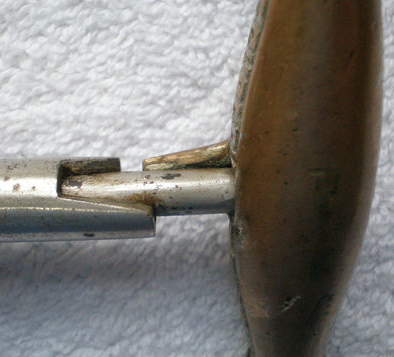 Also interesting, is if the bell has the patent date listed–which it does–why would the shaft read PAT. APL’D FOR? Does anyone have a PAT. APL’D for Murphy that doesn’t have the patent date? Feel free to check out the website for the new additions! 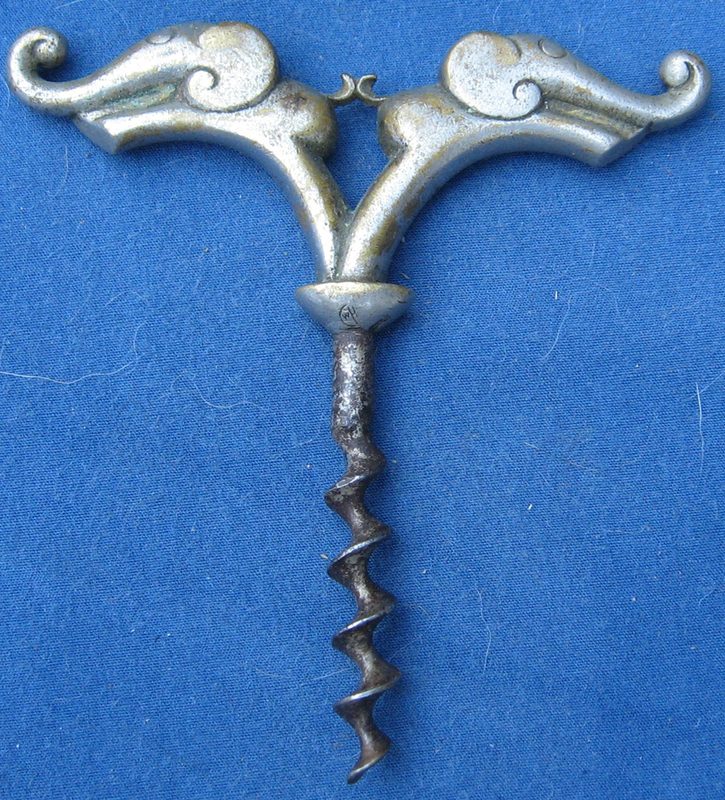 Anyway, I dashed around the field sans umbrella, and checked out what corkscrews were available. And, is often the case at May’s there is a lot of viewing of the same stuff from previous days, as many dealers pick up after exhibiting in Dealer’s Choice for example, and then move to May’s on Thursday. Of course, the interesting part of attending May’s, is that given that the sellers aren’t able to put their wares out until the opening of the gates, you really need to walk the field a couple of times as by the time you are down to one end of an aisle, more items have been unearthed and placed on a table. As it happened, I ran into BT as I was walking the field, and we discussed that it was a little dismal with the exception of a Gorham bar set, and several sterling adorned stag handle corkscrews which for some reason command 400+ dollar prices. Not that they really fetch those prices, but it is more often than not if any one of these dealers finds a corkscrew with sterling on it, they believe them to be of significant value. In one booth, there was an interesting tusk with sterling end cap, and a Walker bell. 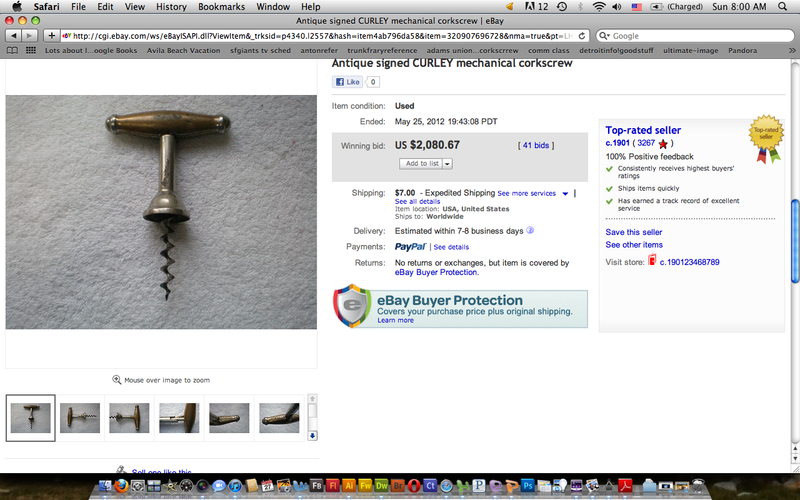 “How much for the corkscrew?” I asked. The person with the booth, reached into the case and flipped over the price tag and uttered, “six ninety five.” Knowing they didn’t mean just shy of 7 dollars, I just shook my head, and made my way for the next booth. That was the way the first 45 minutes was going. I handed over my money, and headed to the next booth. Now, I didn’t really want one of the two, but he only wanted to sell them together. Still, the R. Murphy Boston signed wingnut/victor definitely made my morning. Not that I don’t have two different examples already, but it is a nice piece that is fairly hard to find. Down the aisle at the end was a miniature folding bow for cheap, and a fantastic mechanical Anri stopper that the lovely bride has since claimed as her own. This too was acquired for very little. I started heading back to the car, and saw an interesting knife with corkscrew that looks similar, but without the advertising, to figure 1487 on page 229 Ferd and Bert’s book on pocket corkscrews–I would provide a picture here, but apparently whilst making the drive home, said knife went sliding off the passenger seat and remains in the car on the mainland. Finally, as I was heading out of the gate, I spotted a Zig-zag in the box. It is the more modern box, but the zig-zag carries a 59 on the back of the disc. And, the price was not bad, so I grabbed that too. One hour and 15 minutes from the opening of the field and I was on the road, and heading for home. The rain diminished, and the drive was uneventful–always a good thing. Definitely a successful Brimfield trip! For those wondering, the deal mentioned the other day that I have been working on for some time at Brimfield, still remains in the works. Should it come to fruition, I will tell you all about it here. Perhaps it will happen at the July show! We can only hope.